After being charged with the murder of a scientist, a young doctor must track down a Nazi spy ring to clear his name. A young woman seeking adventure, and several other people have to outwit a mysterious killer on a remote island. 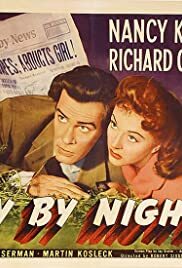 Above-average Paramount "B" thriller from director Robert Siodmak. A few surprises (including an imaginative action sequence and a jolting revelation during a climatic confrontation) elevate a standard falsely-accused-man-on-the-lam plot. Well-paced and atmospheric.